To no one’s surprise, many members of the Class of 2022 were once hyper-involved, overachieving high school students. I’m one of them. 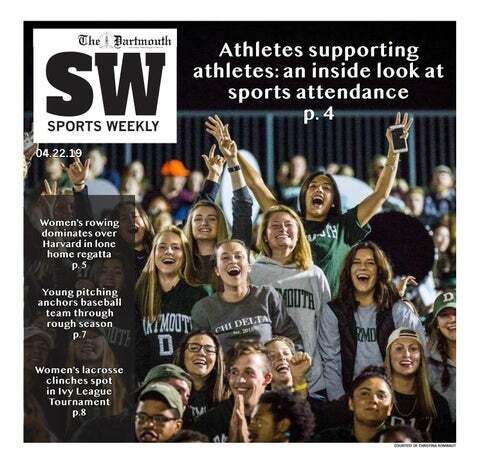 Dartmouth's 250th is as much about you as it is about Dartmouth's past. Only history can teach students the art of self-reflection. Students, alumni and faculty continue to unearth Dartmouth's core values. The platform may be giving us much more than we paid for. Taking the temperature of hot takes. What “Parks and Recreation” teaches about politics today. Title IX training unintentionally participates in inequalities it aims to redress. The unpolished side of social media makes the highbrow accessible. Ever increasing demands on our attention are profoundly reshaping society. What to make of Louis C.K. ?